and filters very cheaply on EBay. 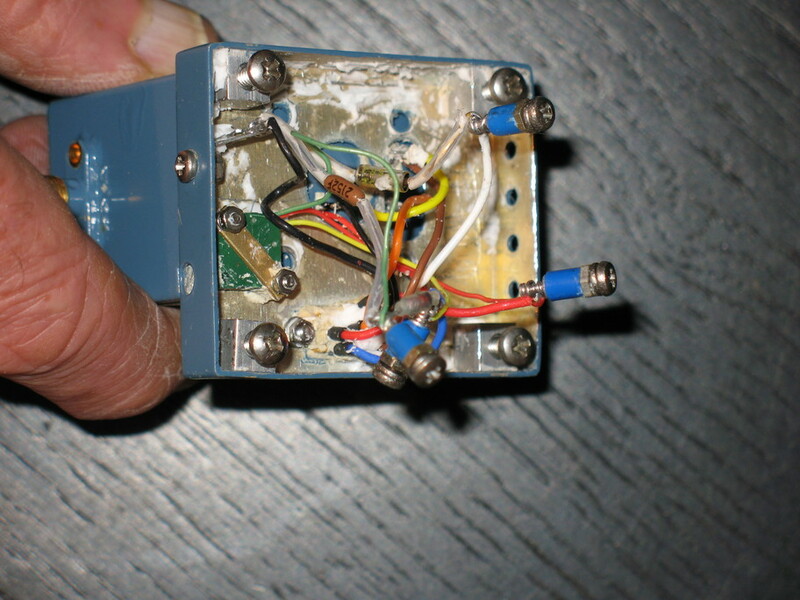 The WJ-643-21 was used in a radar scanner receiver (RWR) from the 1970's. A good description of the design and operating principles is at multi stage YIG filters . It has 3 standard coaxial connectors. The filter is mounted on a small machined aluminium box ptted with a rubber compound. First step was to dig out the rubber, which exposed a number of protection components. The name plate reads 24.8 ma to 70.1 ma , and the coil resistance measures about 12 ohm. The filters span the range of 2 to 18 gHz over this current range. the bandpass , but I have not established this. 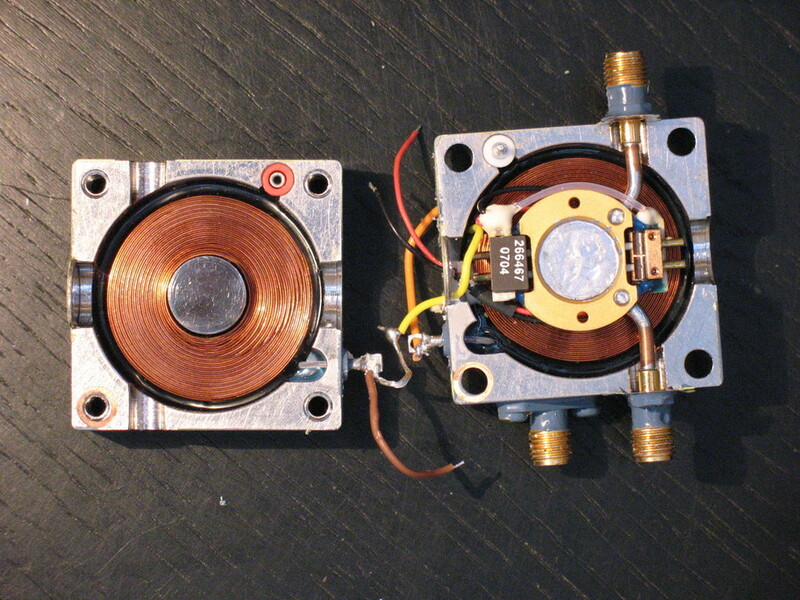 open circuit on the unit pictured). It is easier to correct for temperature than use a heater. The filter is a narrow bandpass filter, with the rejected frequencies passed to a third output. were displayed to the aircraft's pilot on a broadband panoramic display.